Gold Coast native Cody Simpson will see his debut album released locally in late September. ‘Paradise’ has been preceded by a preview EP cunningly titled ‘Preview To Paradise’, giving fans a little four track taster of what to expect from the forthcoming long player. It’s slated to feature the recent single ‘So Listen’, which featured a guest appearance by rapper T-Pain and it’s anticipated that another local single will see the light of day ahead of the album’s release. 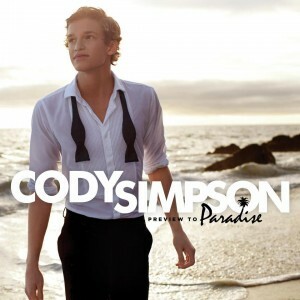 Australia will be among the first countries in the world to see ‘Paradise’ at retail when it drops on Friday September 28.